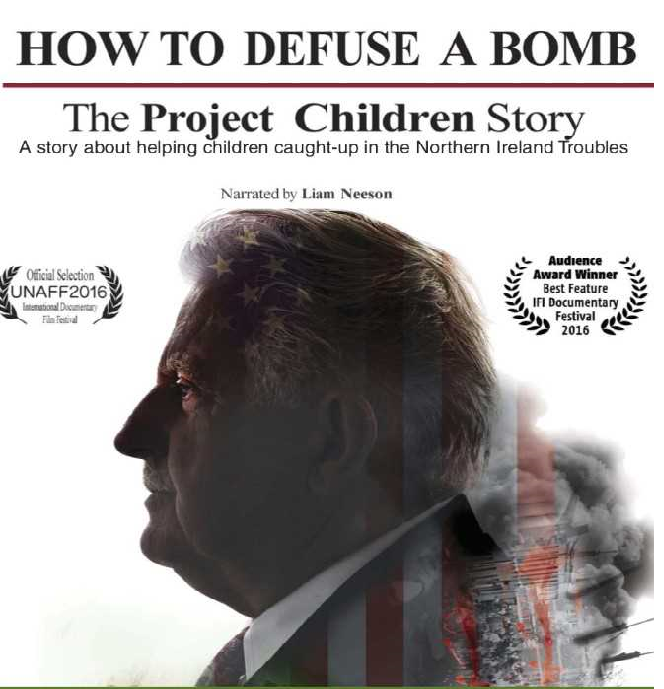 The Irish documentary feature How to Defuse a Bomb: The Project Children Story has won the Audience Award at the 2016 Irish Film Institute Documentary Festival .Directed by Des Henderson and produced by Ed Stobart, the film looks back at the work of the Project Children organisation, established in 1975 by NYPD bomb squad member Denis Mulcahy, which allowed over 20,000 children from Catholic and Protestant backgrounds to escape the Troubles and live together in the United States over the course of a summer. The children’s summer project ran for 40 years, before finishing last year. The organisation’s internship programme, established in 1995, continues to bring students to the US to live and work. Narrator Liam Neeson. Denis Mulcahy the Chairman/visionary of Project Children will attend all showings along with many people featured in the documentary. Denis is travelling from New York, twice nominated for a Nobel Peace Prize for his work with children in Northern Ireland will attend and speak following the documentary.